So the hubs and I are partnering up and reading this book, What On Earth Am I Here For?, together in the next 40 days. 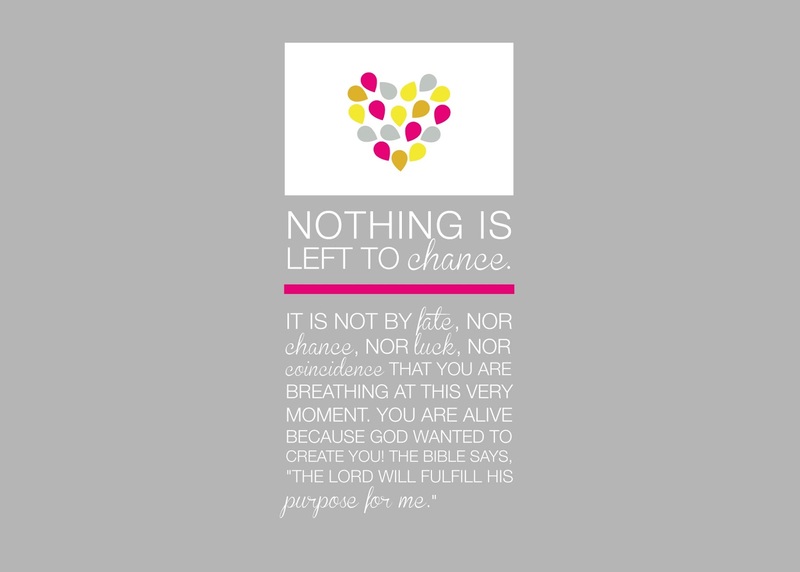 Monday was Day 2 and I really loved the following from the reading on us and our lives and how God has planned it all out...nothing is by chance because He knows all and has planned this life for us so that we could become the person that He intended. I love this so much because knowing that everyday is what He has planned for me comforts me to no end. Ryan is the partner I was always meant to have...my children...my family...my friends...everything...He put this all together for me. Feeling blessed. Hope you enjoy! The Bible says, "You saw me before I was born and scheduled each day of my life before I began to breathe. Everyday was recorded in your Book!" Nothing in your life is arbitrary. It's all for a purpose. God is not haphazard; He planned it all with great precision. If there was no God, we would all be "accidents", the result of astronomical random chance in the universe. You could stop reading this book, because life would have no purpose or meaning or significance. There would be no right or wrong, no hope beyond your brief years here on earth. Warren, Richard, 1954. The Purpose Driven Life: What On Earth A, I Here For? Michigan: Zondervan.